– Shade What’s a Little Rain Forest? If you are a regular reader of Strikeapose you will have realised how much I love my nail art and trying out new polishes. I was recently sent the beauty subscription box, Birchbox, to try the products and share with you which I wrote about here. I was really excited to see that in my box I received one of the mini OPI Brazil Collection nail lacquers, the shimmering electric blue ‘what’s a Little Rain Forest?’ which I has been on my wish list of nail polishes for a while. 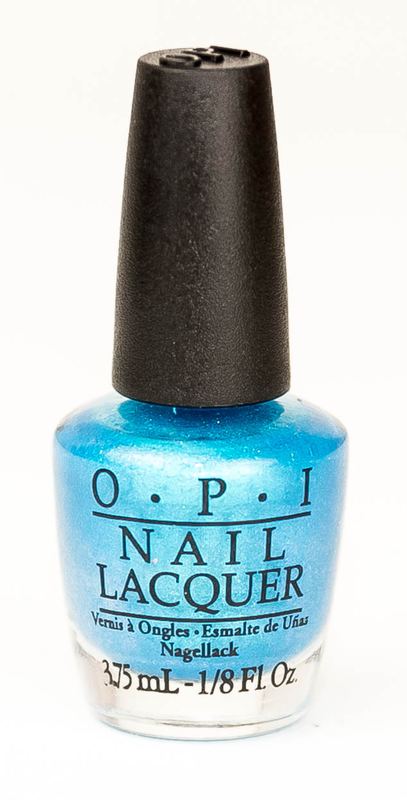 The colour is a startling electric blue dries as the polish is described, beach sandy. The finish is a matte, grainy textured that needs 2 layers of polish to give a good, solid even colour coverage. The polish dries extremely quickly so if you are impatient like me there isn’t much wait time so you won’t smudge them. The nails are a lovely matte finish with a little light reflecting shimmer. In the OPI Brazil Collection Beach Sandies there are 4 different colours, excluding my shade there is also – Purple Samba-dy Loves Purple, Red I’m Brazil Nuts Over You and Yellow You’re So Flippy Floppy. The What’s a Little Rain Forest blue shade from the OPI Brazil Collection Beach Sandies is probably the last colour I would have picked from the set as there is something about mermaid blue shades on my nails that I always think looks childish and would probably suit darker skin tones. The shade is a bright, fun summer shade though and I am enjoying having neon sand nails! The only downfall this is polish is the size of the bottle, why are they so tiny?! I don’t have an issue with the amount of polish in the bottle as you do receive plenty in a 3.75ml bottle compared to their regular 15ml polishes. The difficulty I had was in the size of the handle as it made it very fiddle to hold and paint, especially when doing my right hand. I love the OPI Brazil Collection Beach Sandies but only wish I could buy them as a full size range. What are your favourite sand textured polishes?